Toy Story Mania is our choice for #Day6 in our #DisneyWorldCountdown! We are really getting down to the wire, and on this great Monday, we are taking a look at Toy Story Mania for our Disney World Countdown post! This is one of the best attractions in all of Disney, but it suffers — or, at least, it used to suffer — from such popularity that it ran out of FastPass selections really early, so if you didn’t get there early, you were likely to miss out on it and just have to wait 60 minutes or longer for a FastPass. With the new FastPass+ system, I wonder if that has improved any. I would think it has, at least for those that take the time to plan their FastPass+ selections online, but I’m not sure. If any of you have experience with this and have an opinion one way or another, I’d love to hear it, so let me know please. Sophie standing in front of Mr. 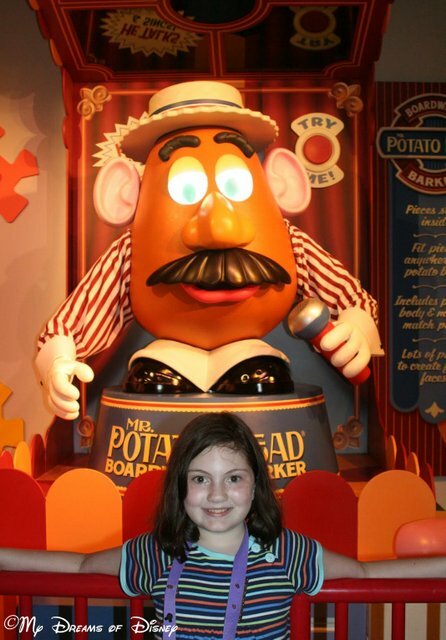 Potato Head in the queue for Toy Story Mania. Toy Story Mania is great from the queue on in. Here is a picture of Sophie with Mr. Potato Head in the line at Hollywood Studios! 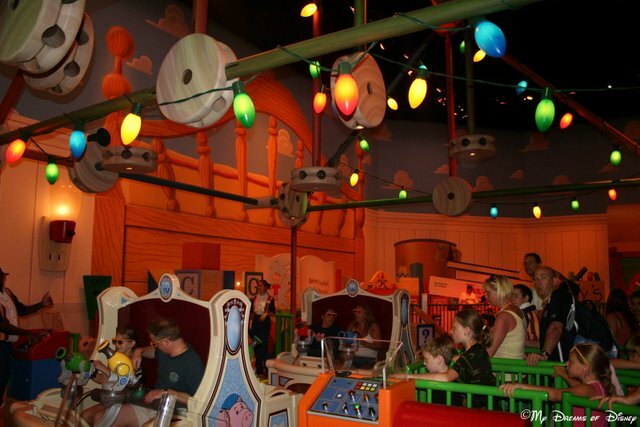 Toy Story Mania is an attraction where you play a whole bunch of different Midway Games! 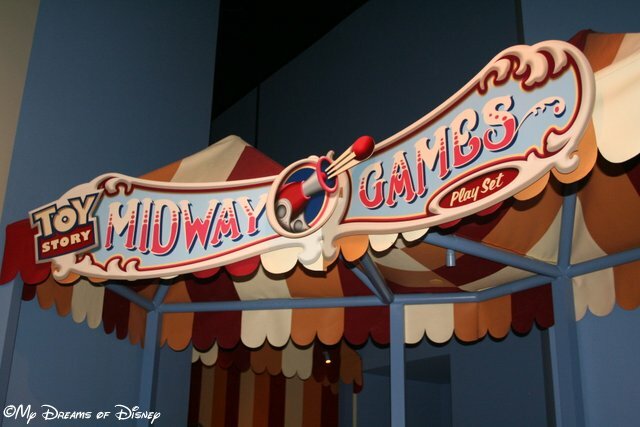 The Midway Games are how you get your score, and you will ride in special vehicles that take you through and allow you to play the games. Toy Story Mania is great because it is like being a part of Andy’s Toy Box! Other than the line issues, which is hard, Toy Story Mania is one of my favorite attractions. Do you like it? Let me know in the comments, and thanks for stopping by! 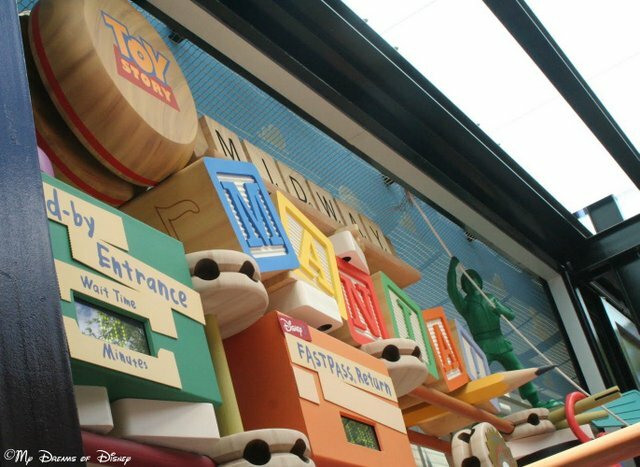 Wildest Shots of Toy Story Mania! Previous Post: 7 Days: Fantasmic! Next Post: Wildest Shots of Toy Story Mania!